There are two types of Moms…those that love Play-Doh and those that hate it. I was a Mom that loved it! Yes, I know, it makes a mess and get it in the carpet or on a chair and it’s not too fun. But I still really loved when my boys were little and played with Play-Doh. Our favorite was the Fun Factory, the boys still remember playing with it. 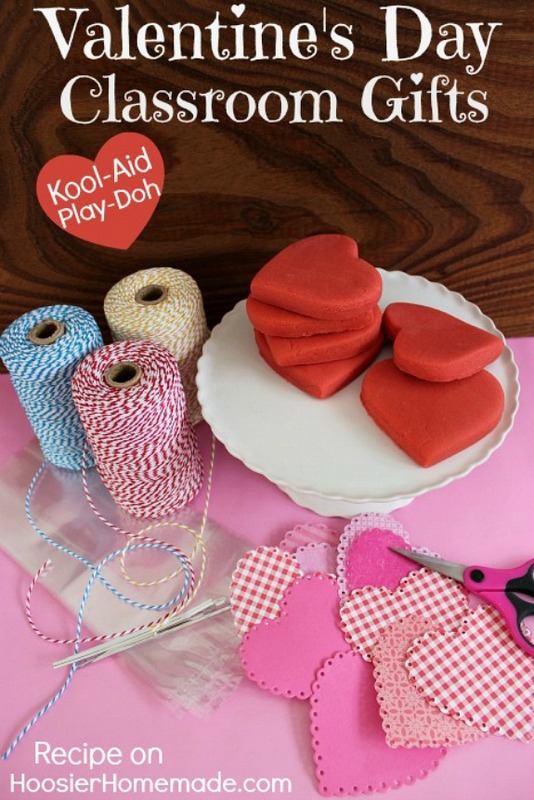 Had I known years ago how to make Kool-Aid Play-Doh, I would have been mixing up big batches for us to play with. 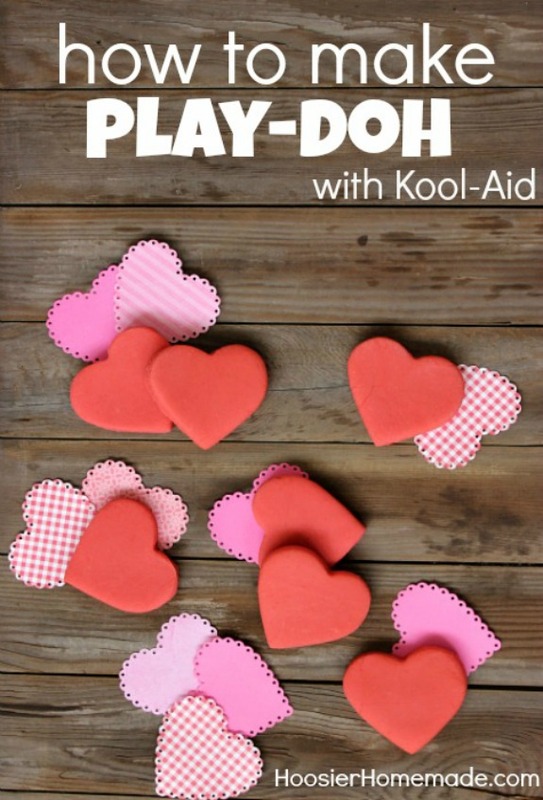 This recipe for Play-Doh has Kool-Aid in it, giving it the color and a little scent. It’s super soft and went together in minutes. 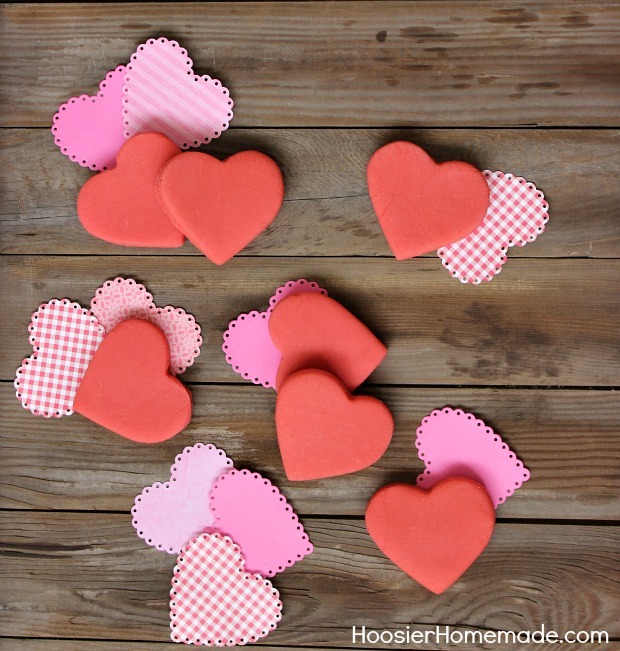 The options are endless for colors and shapes, this time we made red and cut out hearts for Valentine’s Day. And in case you are snowed, this Homemade Play-Doh makes a great Snow Day survival activity. 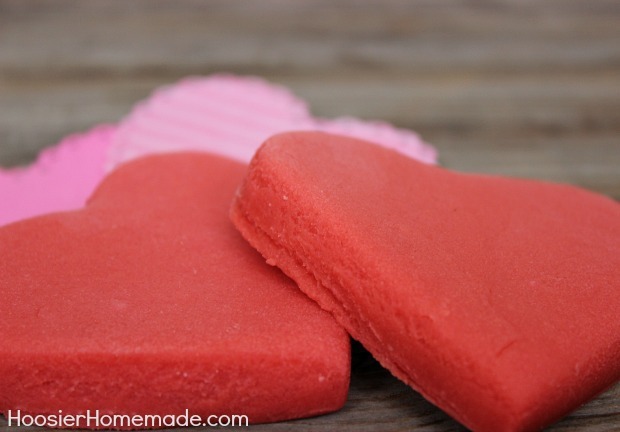 The recipe has very basic ingredients, flour, salt, cream of tartar, water, oil and a package of Kool-Aid, any flavor works but of course, I used Cherry for Valentine’s Day. 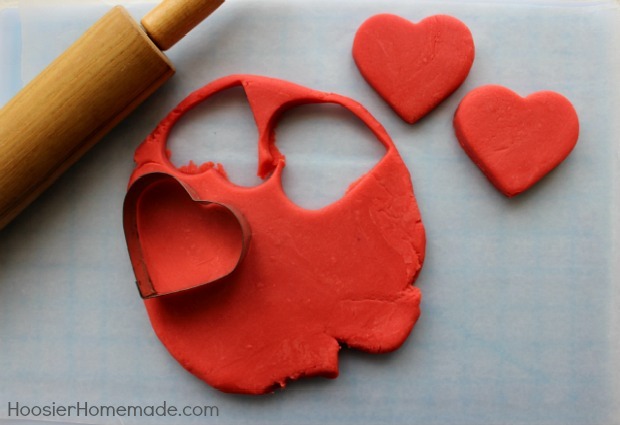 After mixing on the stove and cooling, roll out the Play-Doh and cut with a heart shaped cookie cutter. 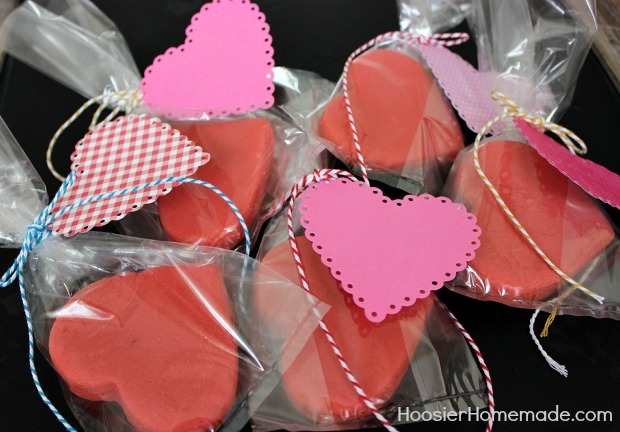 Place hearts in the bag, tie with string and add the paper heart. 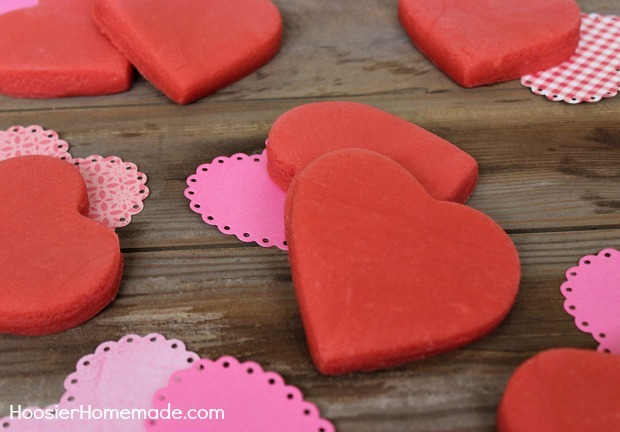 Be sure when you are writing on the Valentine that you include something about the Play-Doh is for playing not eating. All the ingredients are consumable, so if a child were to eat some it won’t hurt them, but I’m sure it won’t taste very good. This recipe is a combination of two that I found, one from MomAdvice and the other from Meet The Dubiens. My kids will love this playdoh!! darn, don’t have the cream of tartar! any idea how this works without it?? Hi Susan, I don’t think it will. Cream of Tartar has an acting agent in it. Sorry. Hi! Trying this with my kids right now… unfortunately it is way too liquidy and in no way resembles dough. Any chance you doubled the water amount in your recipe by accident? It could be I’m just not being patient enough or letting it cook long enough. Thoughts? Thanks! Hi Allison, the water amount is correct. Did you cook it for about 3 minutes? It should be clumping and drawing away from the pan. It should also thicken up when it cools. This is such a great idea! I’ve been looking for sugar alternatives and this is perfect for my pre-schoolers class. Also, thanks for always leaving such great comments, I really appreciate it!